Working with new clients is demanding for any agency. Onboarding new clients require us to spend time learning their approaches, ideas, and strategies and communicating. Then we have to integrate new ones. Some clients may not have efficient interdepartmental communication. Others might be made up of a very small team. No matter the client’s size or industry, there is always room to help them learn about inbound marketing. Over the years, our agency has learned that the more we teach to our clients, the better the relationship – both in trust and in longevity. However, there may be times when a client asks for project or campaign that falls back on old habits or traditional marketing tactics. Your client might even ask you to do something that you know will not deliver a high enough ROI. At these moments, it is important to find a balance between your own integrity and maintaining the relationship. These dilemmas present an opportunity to teach your client the methods of inbound marketing. You will face moments when you and the client disagree about what should be done with their marketing. The key is to make sure you explain the value of your expertise, but ultimately let the client decide. If the client decides to launch a new campaign or offering that does not get the returns they were hoping to see, you will have another option in your back pocket. In the end, the client will appreciate your expertise and wisdom. 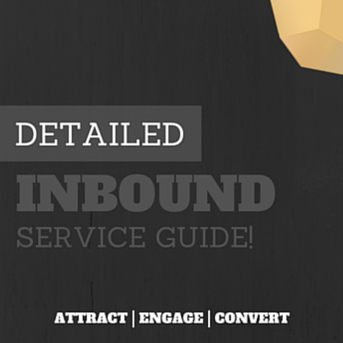 Make sure you teach them about inbound from the beginning. FOR MORE GREAT MARKETING TIPS, DOWNLOAD OUR FREE GUIDE!